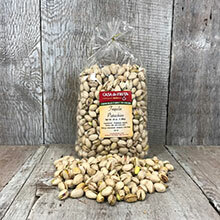 We use the finest pistachios and roast and salt them, adding a hint of tequila and lemon. This creates a salty flavor with a citrus zest that everyone will enjoy. Plenty to share in this 48 oz. bag.